Feel free to start a thread in the signal services forum and let us know how it works, we are all curious. Thanks for your response Okane. 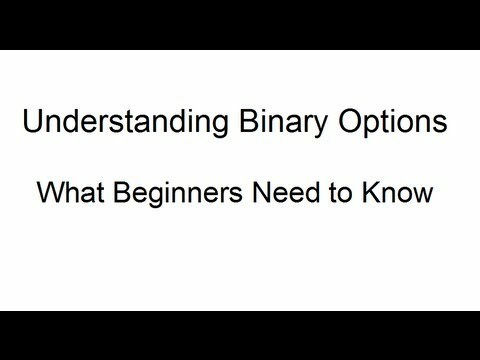 I feel that I've learned a lot this week about Binary Options. I consulted with legal services and learned more about how I was scammed and where I went wrong with both of the companies I was trading with. I lost a lot of money to Arbi-trade and Skyline Markets but I have opened a case against both companies and the organization that is representing me says they have been successful in helping their clients claim back their stolen investments. I am only a few days into the process, but feeling hopeful. Okane, you recommended a few binary companies but I am feeling a bit suspicious as I have read some concerning reviews about 24Option. I also read an article that suggests that not all binary is a scam investment, but that binary "brokers" are the red flag. The legal organization I have been working with has advised me to stay away from all binary. I just want to be safe for my next investment. Thoughts? Well, I have lots of people in my group using different brokers. No one has issues withdrawing from Ayrex and 24Option. IQOption has some complaints, lowering payouts or blocking entries. All brokers have some issues but just make sure you don't listen to account managers. There is a conflict of interest there. I would only choose a regulated broker, for me 24Option is the best, never had withdrawal issues and I know many people using them. Ayrex is not Cysec regulated but at least all my students are getting their payouts. Thanks for your advice Okane. I am a little wary and I think it is going to take me some time to trust; perhaps I will stay away from trading for a while. I have just managed to win my legal case against Arbi-trade through an organization called Money Back Lawer. I have learned so much through this process, and definitely going to be much more careful from now on. Sure. Always do proper due diligence before investing in anything - sometimes we all learn the hard way! After a year of none usage of this forum I come back and place a very simple text in my email signature with an affiliate link to IQ Option and I get a message from the admin to remove same. Yet, some other members on this forum have signatures with links to their services and it appears that they are not being warned of a ban. If the rule applies to one member it should apply to all members. Feel free to PM us if you see anyone using affiliate broker links in their signature. Thanks! I see, you just protecting your revenue. Can you let me know how can I permanently delete my profile from this forum? If you see that some affiliate violating the rules, sends spam messages to forums or contacts you via personal messages, please, let us know. I understand, but if you look back in my acticity on this forum, I never contacted anybody with an affiliate link or posted a link to sign up - nor I promoted IQ Option direcly to forum users. It was just weird to see that if I place a simple text and a link into my email signature even with a Disclaimer, that it had to be removed while some other users promote other BO related services in their signatures. Is that not considered to be marketing activity? Would this not turn this forum into a "marketing place"? Hi IQ Option Support. Thanks for checking in, but nobody (in this case myself) sent any spam messages or posted any affiliate links in direct posts or PMs. As Ive seen a member of this forum promoting a BO related service in their forum signature, and as I didnt see any written T&C that I am not allowed to have a signature with an affiliate link, I decided to update my email signature. After the admin contacted me to remove this link from my signature I complied with the request. I agree with the forum admin that this forum shouldnt be a marketing place, but people, specially people who are long term members of this forum and provide "some" quality content here should be allowed, at least to include a link to their website, social channel, affiliate site for people to consider opting in for that particular service/offering. This is one way for a forum user to monetize on providing free content on a forum. Anyway, I respect the rules, I just wanted to say my opinion about this whole thing. @Closingbell He was talking in general. He is really scareing you out...he mention if you have absolutly little, read NO, experience in trading, it is like going to a casino, and even a little worse; the casino gives you 2 when you winn, the binary gives you from 1,6 to 1,9 return when you winn. BUT.....in Binary Options you increase your chances to more than 50/50 when you start using all the tools that are avaliable for binary and forex traders. Look for some strategies on YouTube, and try them out with a REGULATED brokers free demoaccount.. You will have to find your own way to trade, no one can tell you what fits you best ! What's his name? what's the scam? Hi,about blockchain binary options,what you think about Betex?No scam anymore? No idea, there are many new block chain based BO platforms lately. How much do you know about this platform? Are the brokers reliable and genuine people out to help us make a buck or... Am I going to build a 15,000$ account and then not be able to pull my funds out? I would like to appreciate the efforts of the binaryoptions.net for making it spam free, and scam free forum. Traders have got stuck by these kind of fake people. I strongly condemn them and their cause of making people uncomfortable. Thank you forum.binaryoptions.net! can someone get a concrete information here about trading strategies or learning school...??? i don't see people saying things that are effective to ones understanding. i'm just in a Gallo. I think you are looking in the wrong thread. We have a school here and also a room for strategies. Check them out! Thank you for your response Okane. so how can i get connected to the trading school? This thread is about scammers/spammers. If you wish to talk strategies go to the strategies room. I am really get rid of these scammers as I have been scammed by fake people thrice on the online markets. I think you cannot trust anyone on these markets as everyone tries to ditch you and take his profit through your money and skills. Do you agree with me? I do not know why people post such material which is ban on this forum. I would like to advise all of you people that it is a trading forum and you should post only the content related to the trading. I am sure you will follow the rules and regulations. Will you people? Many people try to advertise their products on the forum which is really bad as this forum is for the discussion about the binary options trading. I would recommend you people to post the relevant material in the relevant forum. Thank you so much!